The reasoning behind opening football schools is that they play a vital role in the local community. Not only do they teach the children to live a healthy lifestyle, they also help develop an individual’s sporting talents, ultimately bringing people from the local community together. Apart from that, football gives countless youngsters and adults a chance to have fun and at the same, learn the values of teamwork and discipline. By initiating young kids into football at a young age, it is helpful to their development as a professional as they begin to develop their game sense and start understanding the intricacies of football. Thus, as they grow and develop, so does their knowledge of the game, keeping them a step ahead of those who join the sport at a latter age. 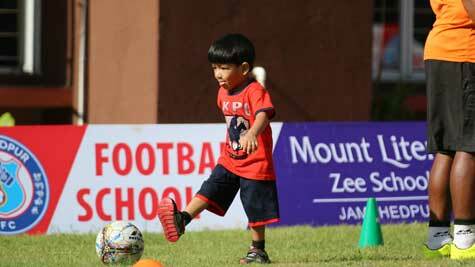 Jamshedpur FC’s first step in this endeavor was launching their first football school in collaboration with Mt. Litera Zee School on 18th August as a part of their grassroots program. The training center would cater to kids of the age groups U5, U8, U10 and U12 and was a landmark moment for the club. In quick succession, Jamshedpur FC opened their second football school in association with Kerala Samajam Model School on 2nd November. The Football School at KSMS (Kerala Samajam Model School) drew a tremendous response from the school kids as the registration day on October 27th saw over 100 participants registering for admission in the School. The kids had a ball on the field as the coaches and volunteers gave footballing lessons to the ever-attentive children. 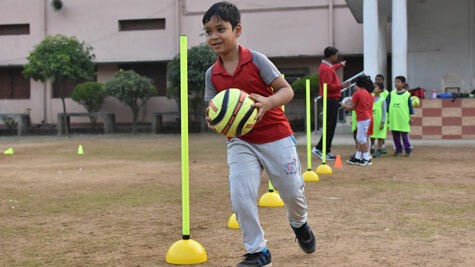 The third and certainly not the last football school which was opened by Jamshedpur FC this year was in collaboration with RVS Academy in Mango on 16th November. The programme included kids belonging to the age groups of U8 and U11. 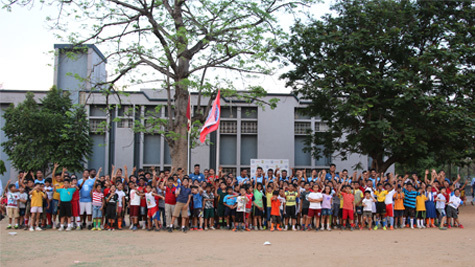 A total number of forty-four kids took part in the inauguration of the football school and were supervised by two professional grassroots coaches. Special thanks go out to the members from the Red Miners who volunteered and made the club's initiative a grand success. 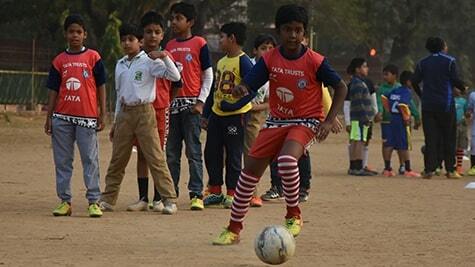 Jamshedpur Football Club, in collaboration with DBMS High School, Kadma launched its fourth football school on the 5th of December. The school was inaugurated by DBMS Principal, Ms. Meena Bugli and by Jamshedpur FC's Head of Youth Development and Grassroots, Mr. Kundan Chandra and had over thirty kids participate in the inauguration of the football school. 5th and counting. 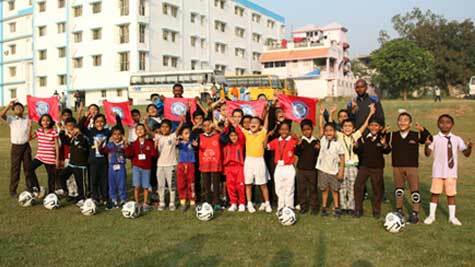 Jamshedpur Football Club in association with Loyola School, Jamshedpur, launched its 5th Football School on the 10th of December. The training facilities will cater to kids of the age groups U8, U10 and U12. The inauguration was graced by the presence of Loyola School Vice Principal (Junior), Mrs. Vinita Ekka, Vice Principal (Senior), Fr. Michael Fernandes, Jamshedpur FC's CEO, Mr. Mukul Choudhari and Mr. Kundan Chandra - Head of Grassroots and Youth Development. Jamshedpur FC opened their sixth football school in collaboration with Carmel Junior College on 1st April 2019. The Football School at Carmel drew a amazing response from the school kids as saw over 130 participants register for the program. The inauguration was graced by the presence of Carmel School Principal, Sister. Lini, Jamshedpur FC's CEO, Mr. Mukul Choudhari and TFA Head Coach, Mr. Carlos Santamarina. Jamshedpur FC successfully launched its seventh Football School in collaboration with Hill Top School, today, under the supervision of Mr. Kundan Chandra, Head of Grassroots and Youth Development. The inauguration took off with over 69 kids happily register for the program and was felicitated by Mrs. Punita B. Chouhan, Principal, Hill Top School; Mr. Mukul Choudhari - CEO, Jamshedpur FC; and Mr. Carlos Santamarina - Head Coach, Tata Football Academy. 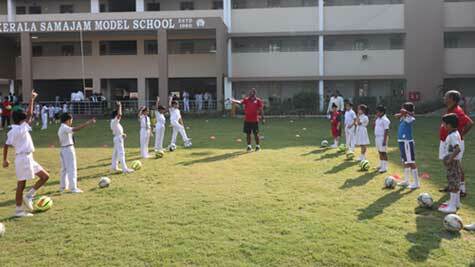 The club aims to kick-start more football schools in the coming months. One-Time Kit and Registration Fee = ₹1000 + 18% GST per year.